‘In my end is my beginning,’ the motto embroidered by the imprisoned Mary, Queen of Scots on her cloth of estate, might equally well have been applied to her grandson, Charles I. It would be in death that his fame would be consolidated as a figure venereated by some, and derided by others. In life, his steadfast belief in the Divine Right of Kings and unswerving faith in his own authority would lead to conflict within the kingdom he had inherited. Yet this same sense of divinity would support him to make a dignified death shrouded in the symbolism of martyrdom. 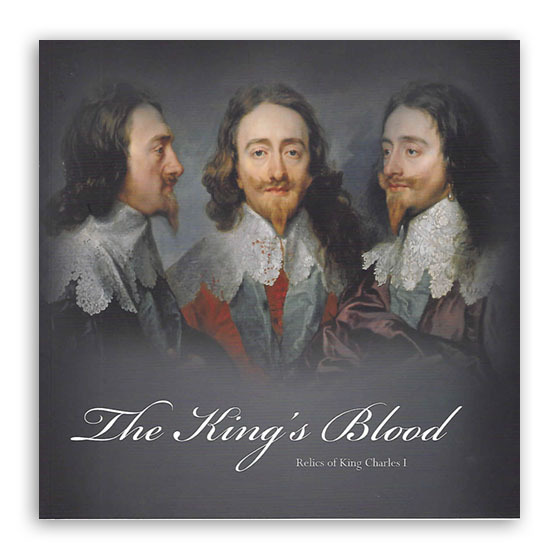 ‘The King’s Blood’ sought to present a number of relics, connected with the death of Charles I, and reveal the cult that had been built around his execution. Among the exhibits were the chalice from which Charles took his last communion, as well as a small pearl earring, he is believed to have been wearing when he was executed. The exhibition received a great deal of interest and was visited by 1000 people.